First Opening Ceremony: AUBG opens doors with 16 full-time faculty members welcoming 208 brave students. 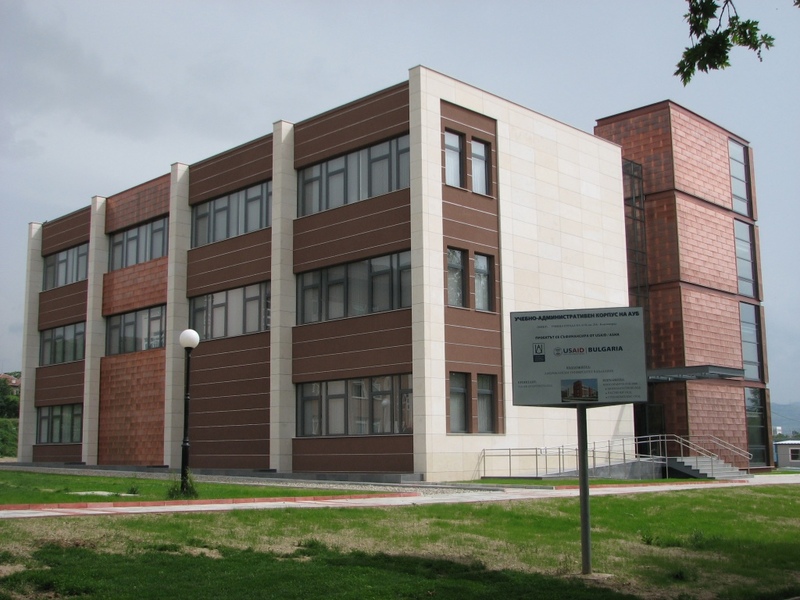 The Grand National Assembly of the Republic of Bulgaria granted the status of an institution of higher education to AUBG. First meeting of the AUBG Board of Directors. AUBG inaugurated at an official outdoor ceremony in Blagoevgrad. Students use the existing communal radio intercom system ("radiotochka") in the Hilltop dormitory to begin the first dormitory-wide "broadcasts", which would later turn into Radio AURA. First ever Arts Festival held at AUBG. Volga dormitory opens for student use. Signal issue of what would become the student publication Aspecter comes out. The first AUBG newspaper, Aspecter, was published. First theater production staged at AUBG – Thorton Wilder’s "Our Town", directed by Al Cyrus. AUBG finds its voice: first choir established. Bistritza Residence Hall first houses students. Curious fact: it was previously a presidential apartment of Bulgaria’s communist head of state, Todor Zhivkov. Galina Chuleva '95 becomes the first presidential medalist at AUBG. 50 rooms are rented in the Riltzi Motel to accomodate the increasing number of students. First More-Honors Academy show was organized. Skaptopara I Residence Hall officially opens. First ground broken on the Skaptopara campus. FlashNews – the first online student publication – is launched. First visit by U.S. President: Bill Clinton receives an honorary doctorate from AUBG. AUBG receives accreditation by the New England Association of Schools and Colleges (NEASC). 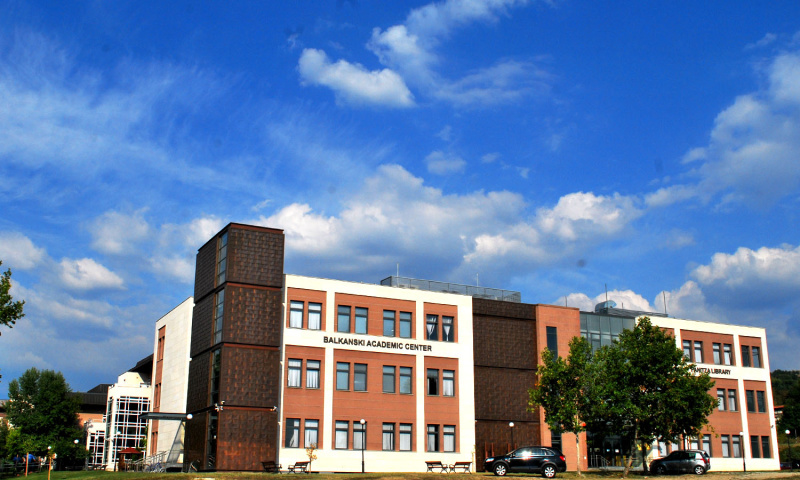 AUBG is accredited by the Bulgarian National Evaluation and Accreditation Agency. Skaptopara II Residence Hall opens its doors to students. Students bid farewell to Volga and Hilltop – the last dormitories outside the new campus. Elieff Center for Education and Culture in Sofia officially opens. First Executive MBA class graduates. First Alumni Mega Reunion brings together all 11 classes of AUBG students. First student-organized AUBG Olympics bring together more than 500 community members. The Bulgarian National Evaluation and Accreditation Agency bestows the highest accreditation evaluation to AUBG. 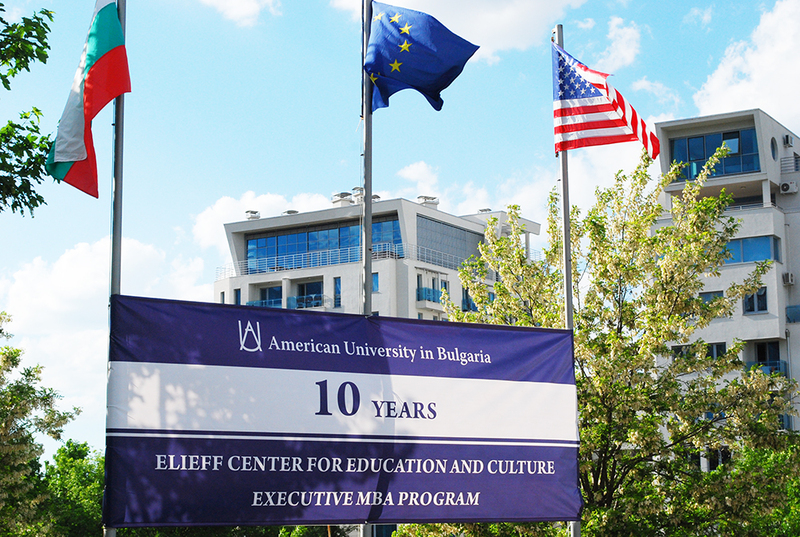 The American University in Bulgaria celebrates its 15th anniversary. New academic and administrative building opens officially. First musical production by the Broadway Performance Club, Chicago, premieres. New library building opens doors. Elvin Guri ’96 receives the first Distinguished Alum Award. Ground turned on the Skaptopara III Residence Hall. AUBG grants the first Tchaprachikoff scholarships for graduate study at top 20 U.S. universities. 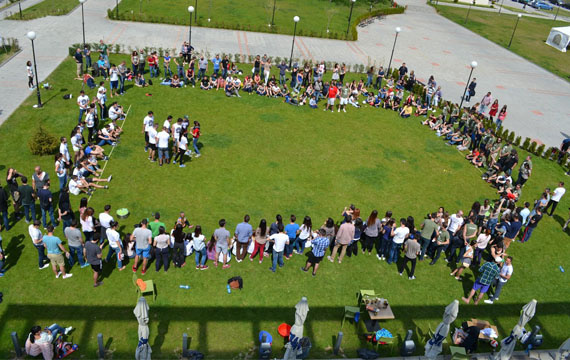 AUBG goes green – first Eco Week organized by students. The Griffins American football club host the first national tournament in American flag football. 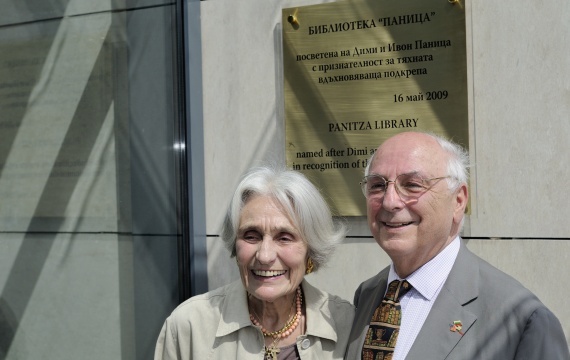 AUBG library named after Dimi and Yvonne Panitza at official ceremony. AUBG and Blagoevgrad officials cut the ribbon on the Skaptopara III Residence Hall. 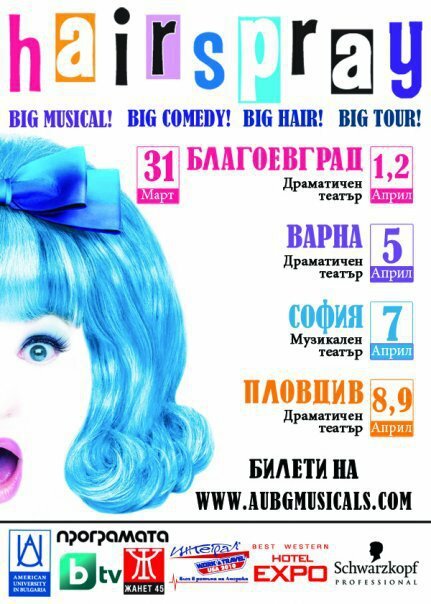 "Hairspray" becomes the first AUBG musical that goes on a national tour. 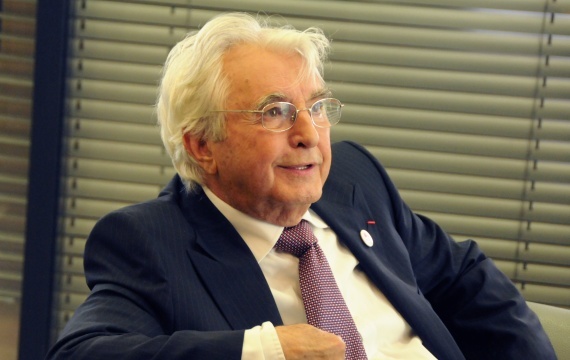 The New Academic Building becomes Balkanski Academic Center in honor of Professor Minko Balkanski. 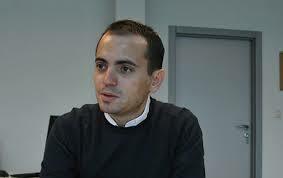 AUBG graduate Georgi Iliev wins the 2010 Book of the Year award in Bulgaria for his novel Holy Fool: Dogtown. Groundbreaking for America for Bulgaria Student Center. AUBG marks its twentieth anniversary with a birthday gala in Sofia’s Ivan Vazov Theater. New Student Center opens doors, named after America for Bulgaria Foundation. Radio AURA, the oldest student club on campus, celebrates its 20th birthday. The EMBA Program celebrates 10 years of excellence and achievements. America for Bulgaria Student Center named Building of the Year. 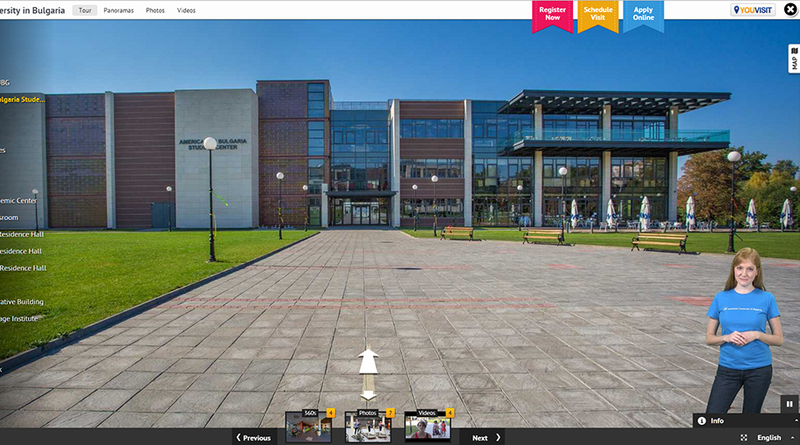 AUBG launches a virtual tour to bring the beauty and spirit of its campus to everyone. 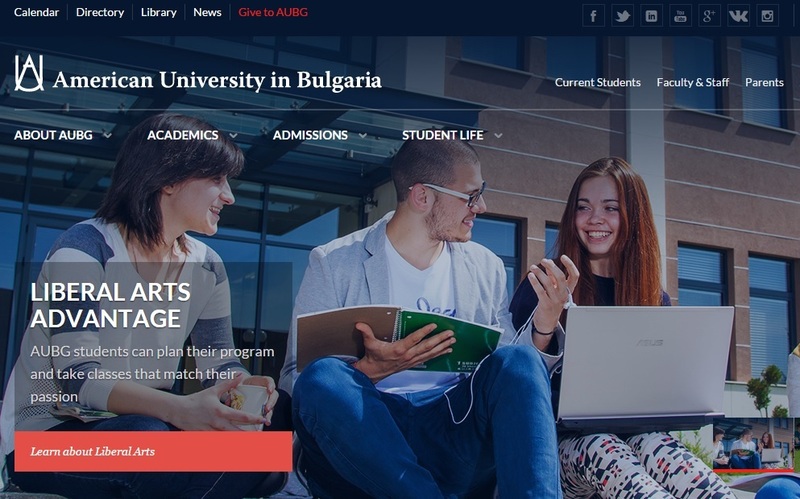 AUBG's website named “Institutional Website of the Year” in the 15th annual competition BG Website 2014. The second alumni mega reunion gathered more than 300 alumni and at least as many students to celebrate 20 years since the commencement of the first AUBG class. 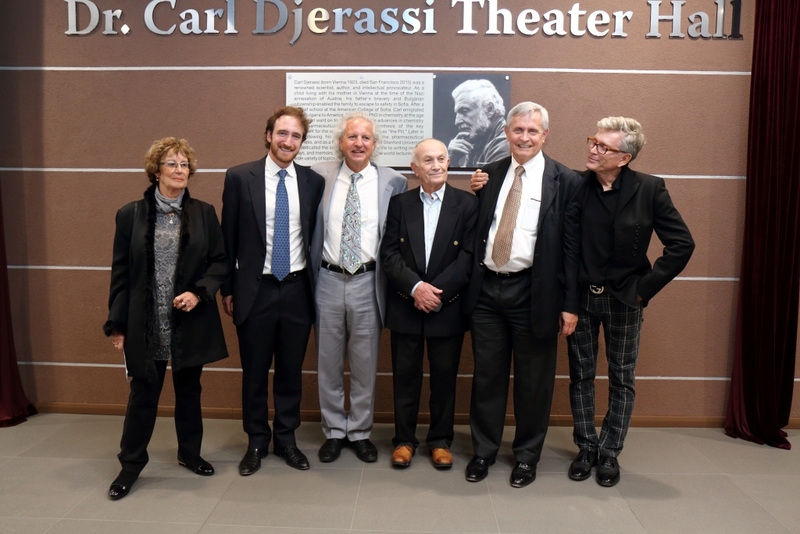 The ABF theater becomes the Dr. Carl Djerassi Theater Hall. AUBG celebrates 25 years of academic excellence and educating bright minds from all over the world.